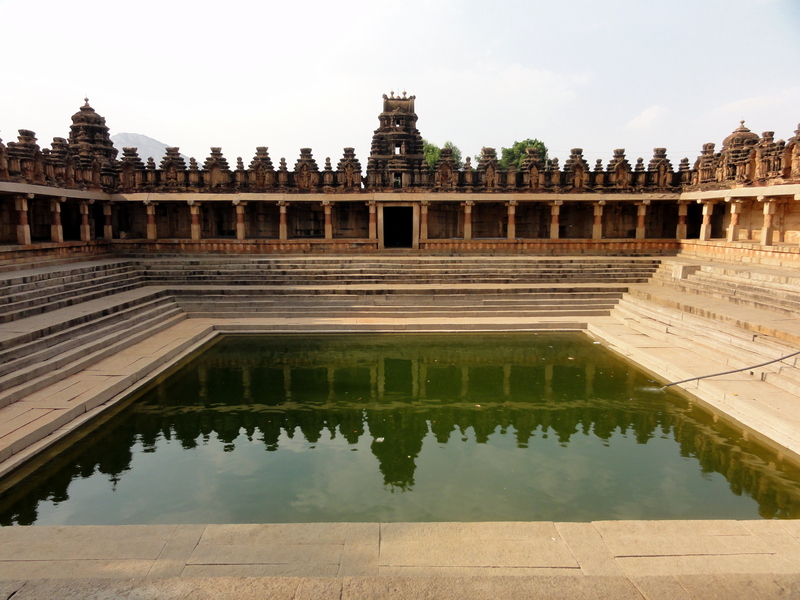 Located just under 60 km from Bangalore, is the remarkable Bhoga Nandeshwara temple in the quaint village of Nandi. 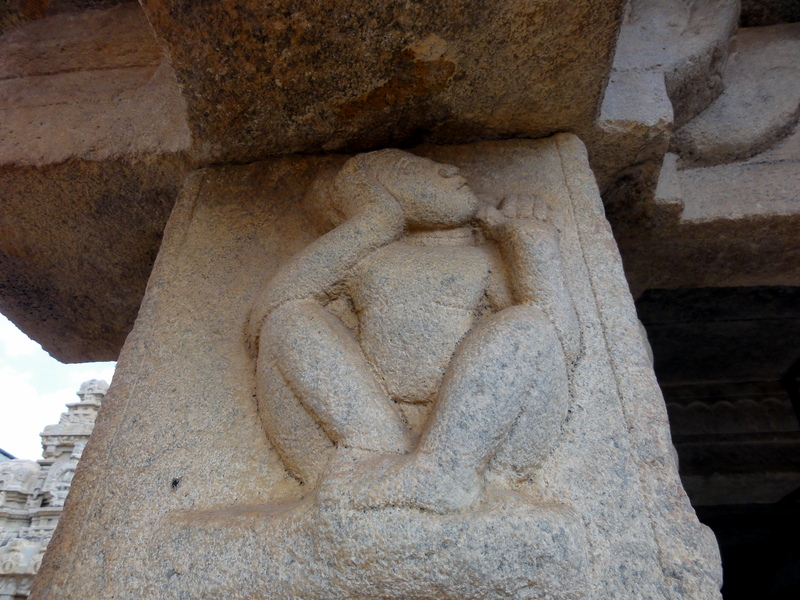 One of the oldest temples in Karnataka, the place is located at the foot hills of the popular Nandi hills and is a great idea for a day trip from Bangalore. What struck me was not only the beauty of the place but the phenomenal size of the temple complex. The courtyard is massive with pillars that are as exquisite. 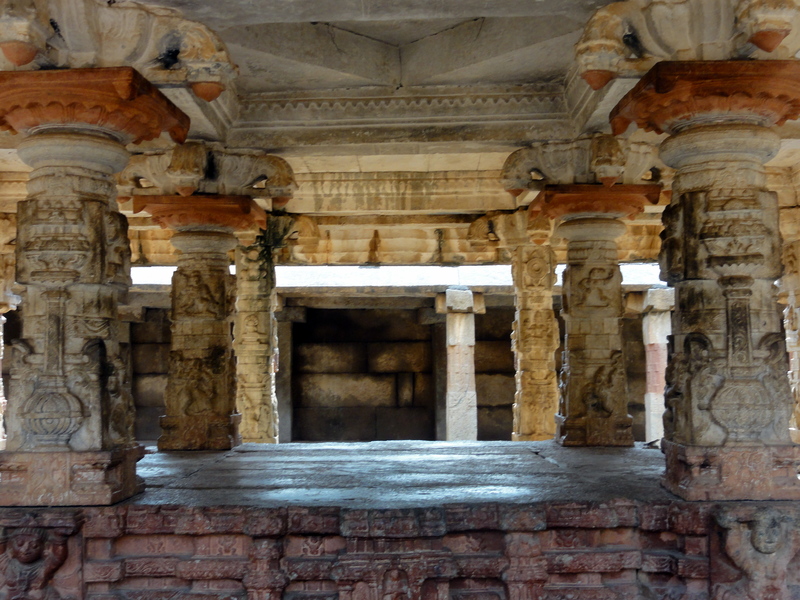 While history has it that the original temple dates back to the 9th century, the temple was later under the patronage of South Indian dynasties like the Gangas, Cholas, Hoysalas and the Vijayanagara Empire. 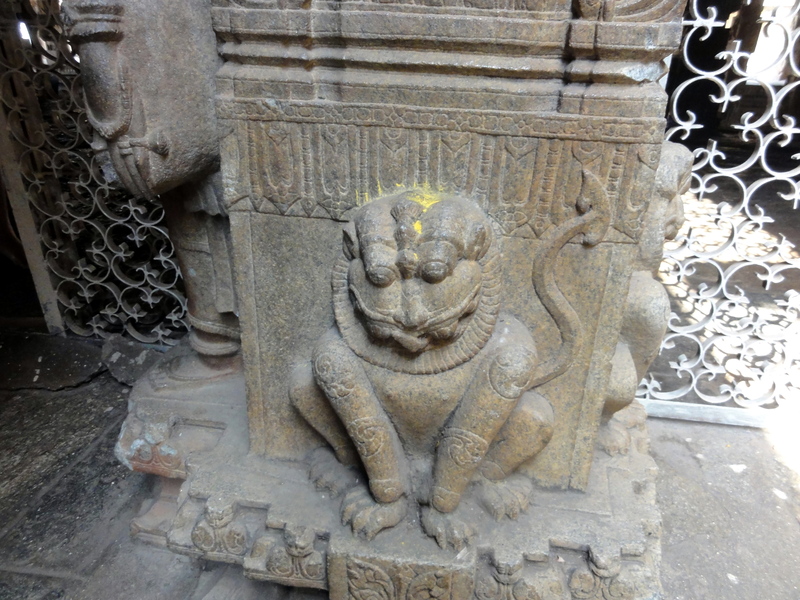 Hence the pillars, carvings and sculptures depict a remarkable mix of architectural styles pertaining to the respective eras. 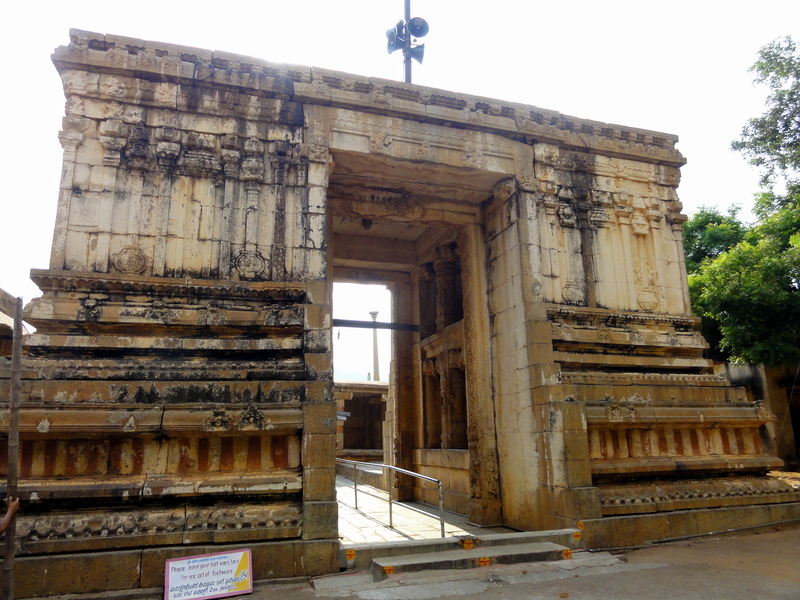 Dedicated to Lord Shiva, the temple has three main shrines “Arunachaleswara” shrine built by the Gangas of Talakad, and the “Bhoga Nandeeshwara” built by the Cholas. 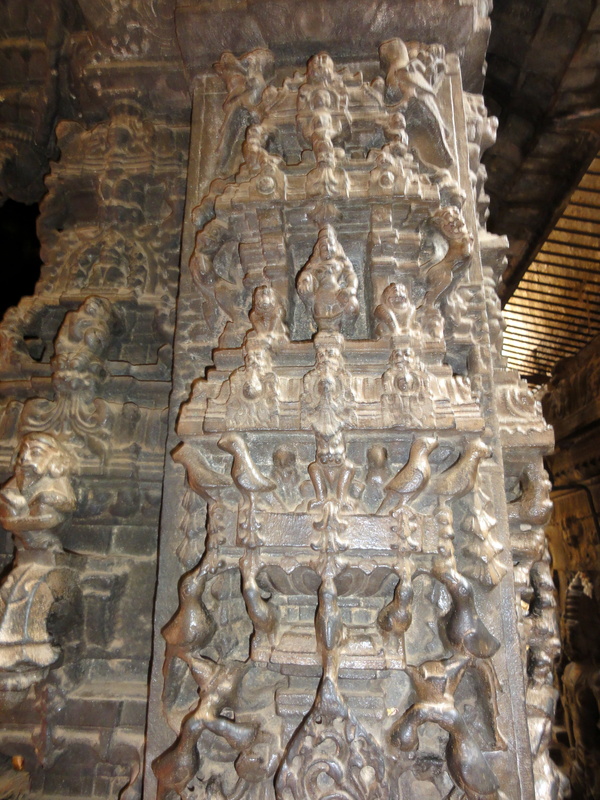 In between there is the “Uma-Maheshwara” shrine with a kalyana mantapa (“marriage altar”) supported by intricate pillars in black stone. The carvings of a multitude of parrots on these pillars is a unique feature that is quite outstanding. 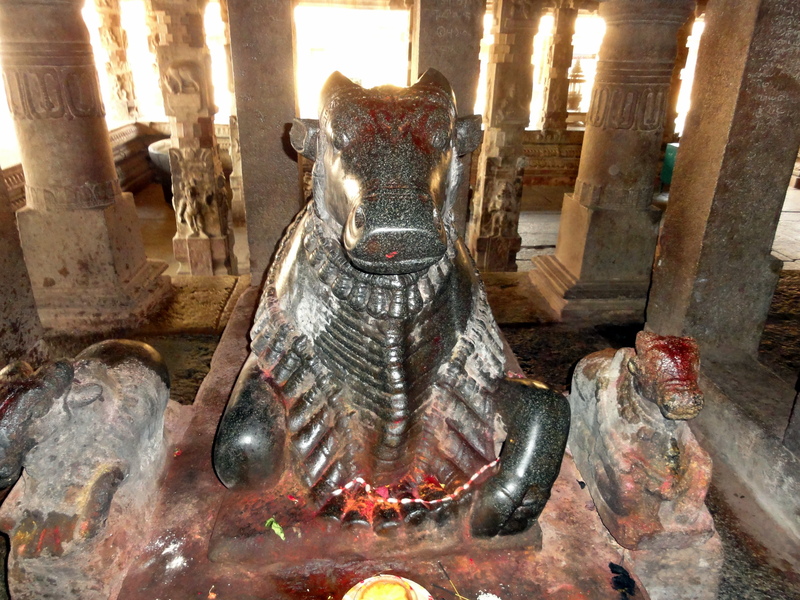 There is a Nandi mantapa with a massive sculptured bull or Nandi in front of each shrine. The “Ugra Ganapati” shrine in the “Arunachaleswara” temple complex is another rare yet marvelous structure. 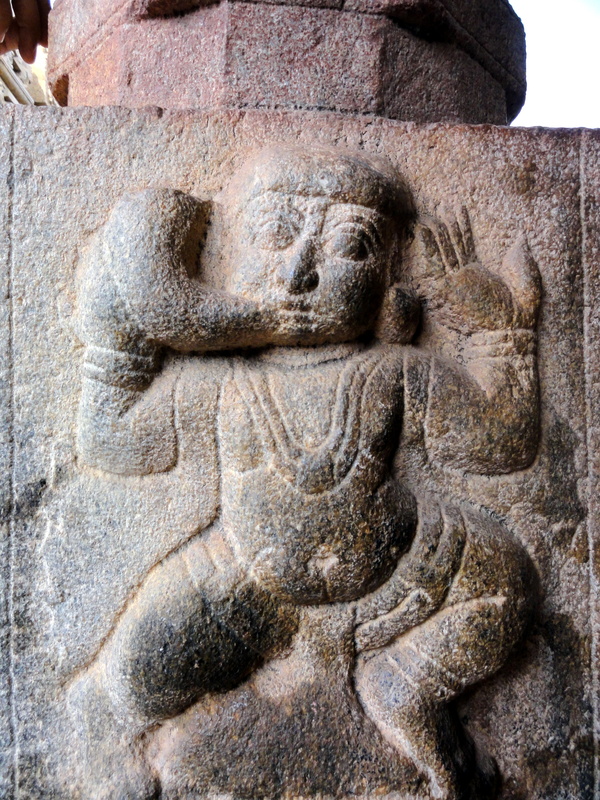 According to Hindu mythology, he “Arunachaleswara” and the “Bhoga Nandeeshwara” forms of Shiva represent the childhood and youth of Lord Shiva. 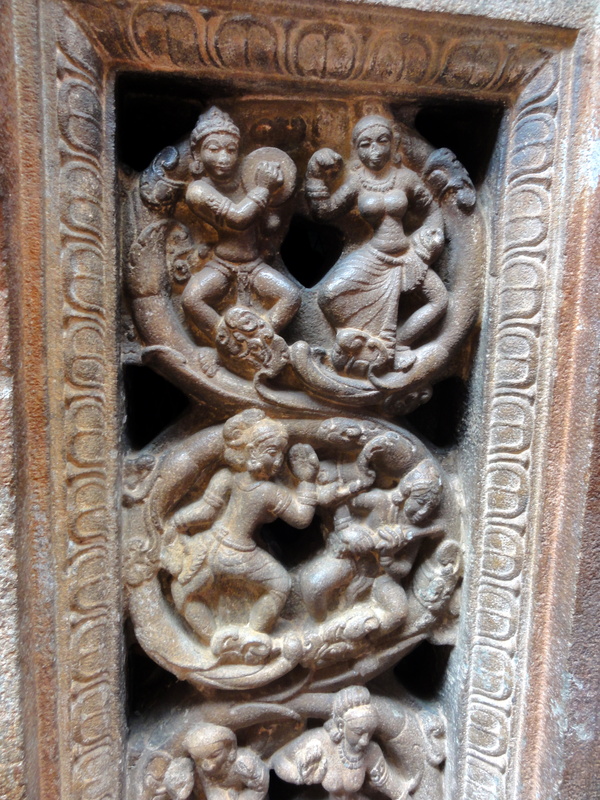 The “Uma-Maheshwara” depicts the third stage, Shiva’s marriage to the goddess Parvati. (Hence this shrine is popular with newly weds who come to seek the blessings of the Lord). The Yoga Nandeeshwara temple is on top of Nandi hills and represents the last “renunciation” stage in the life of Lord Shiva. As you move around the complex, you can see the smaller temples of Kamateshwara, Apita Kuchamba temple and Girijamba temple. The Vasanta Mantapa, a wonderful enclosure with well crafted pillars as well as the “shringi Thirtha” or holy tank are equally beautiful. 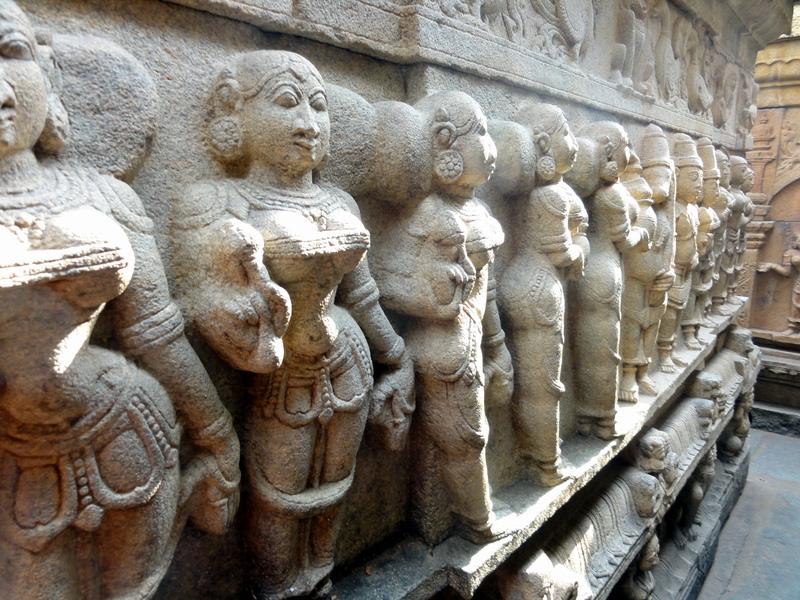 No adjectives can really describe the fabulous workmanship of the structures, carvings and sculptures of the temple. They are varied, phenomenal and simply stunning. 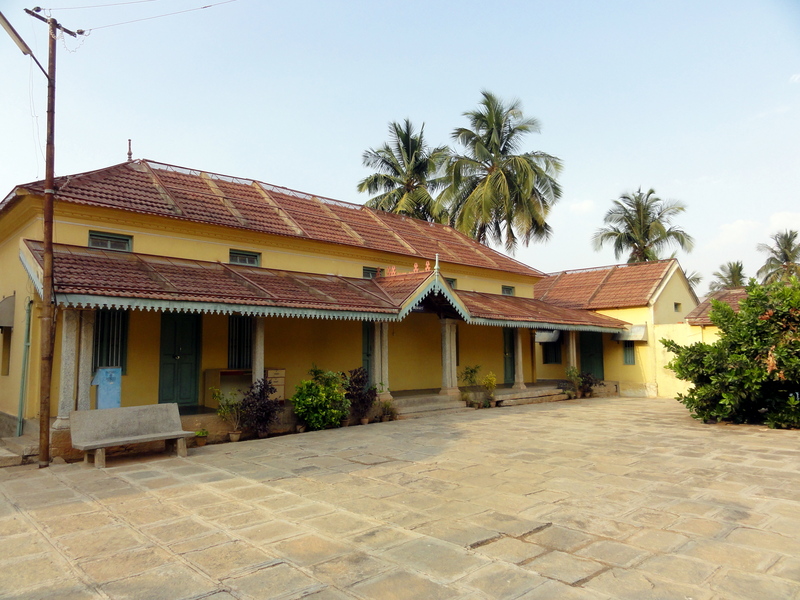 Just about 4 km from the temple, is the village of Muddehalli which is the birth place of Sir M. Visvesvaraya, an eminent engineer and statesman who played a key role in building of modern India. A part of the house where he spent his childhood has been converted into a museum. The exhibits depicting the life and times of Karnataka’s most famous son are noteworthy and insightful. We made it in the nick of time and took a quick look before the place closed for the day at 5 pm. 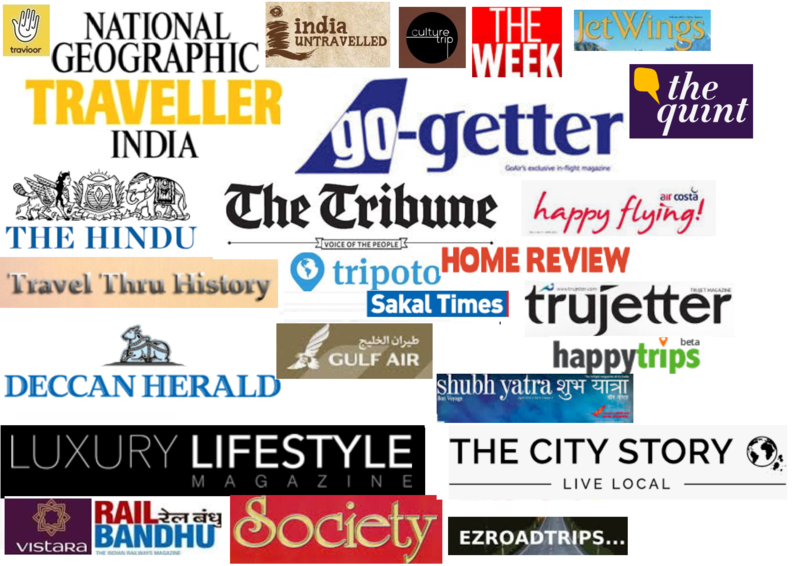 This article was also published in Tripto. You can access the same by clicking here. seems to be great place to visit! You had great time there! Yes it is very awe inspiring.. 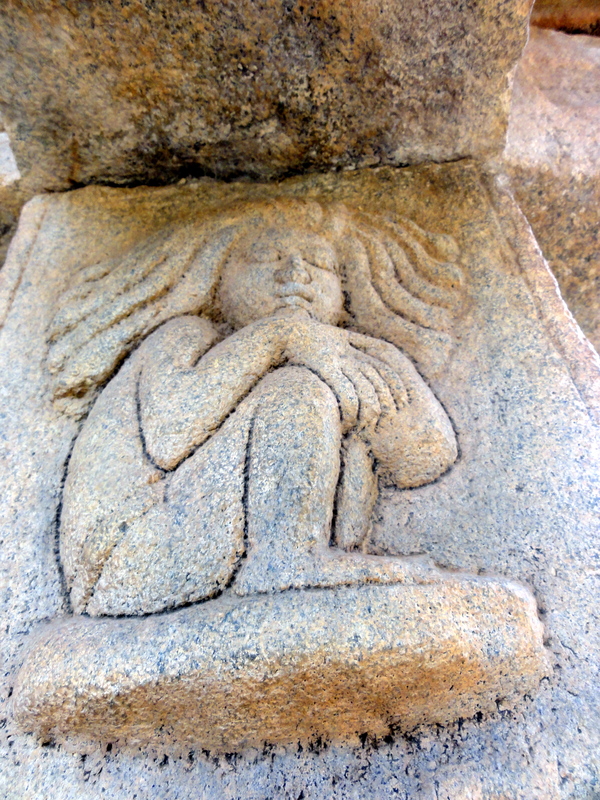 So close to Bangalore and I haven’t seen this beautiful temple yet… I have to remedy it soon. Thank you for showing the marvelous details. The water tank so well captured. Thanks Indrani! You must visit..the “hidden gem” kind of a place for sure..
What I find remarkable is that these buildings were created before power tools, before electricity, before anything that would make the job easier. They are phenomenal. Definitely, that is very true. All of the work was purely manual yet so well crafted. Never knew about this place. The temple tank looks so pretty, I love such stepped-tanks, perfect to sit and rest for a while. Yes Priyanka, it is a great place. You must visit if you come to Bangalore; really worth the time. Yes Chaitali, it is really a very nice place having a lot of religious and historical significance. 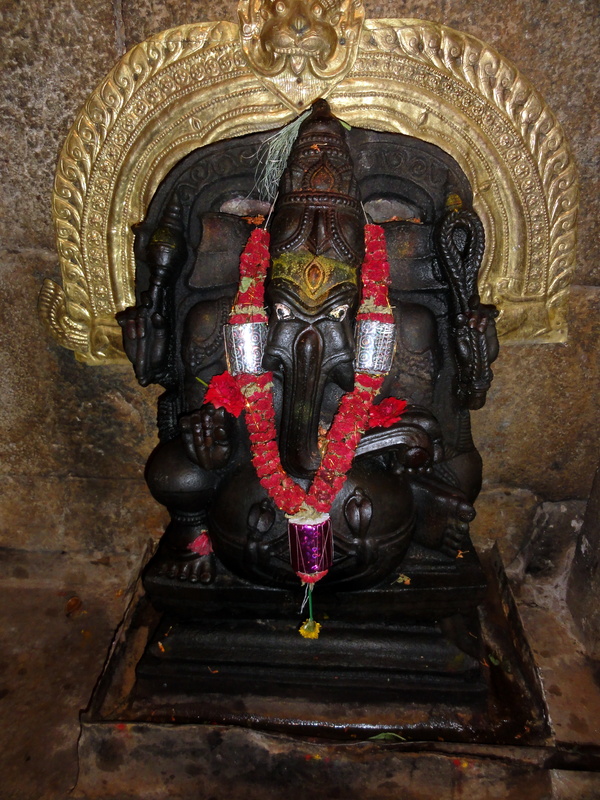 This temple is one of the best and lesser known temples near Bangalore.. Very nice post.. Yes, totally agree, it is one of the best I have visited. Really enjoyed the beauty. 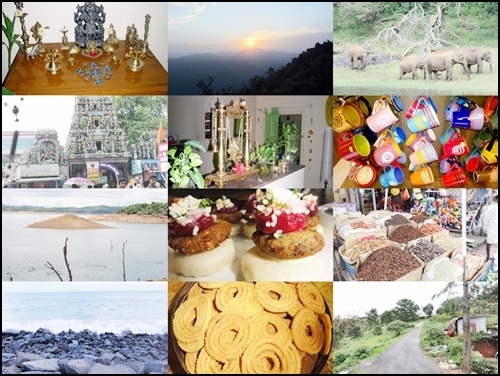 Beautiful pics, did not know much abt this place, thanks for sharing. Thanks Jyotirmoy; you must visit if you are in Bangalore. Such amazing pictures. Your journeys are a pleasure to follow, Rashmi. Thanks you so much Ashween; really appreciate you reading. Your post and the photos give a wonderful sense of this place for those of us who have not experienced it. I can imagine all of the bride and grooms who visit the temple. it is amazing. Yes George it is a wonderful temple. Sunitha you are being too generous! But thanks a lot; you must plan and visit sometime.